15 years ago today and Dandy was engaged in his favourite hobby... Self promotion! Please visit the web site soon. P. S. Did I mention that there are pictures of me on it? We've just visited the uk-pet-rabbits site, what lovely pictures especially of some-bunn called Dandy with Flopsy, you could have told us you would be in one of the photographs!!!!. Unfortunately our 2foot is having problems joining 'yahoo', but we understand she is waiting on a confirmation from yahoo. Once she has received this we'll hassle her to join and hopefully get our wonderful faces in. 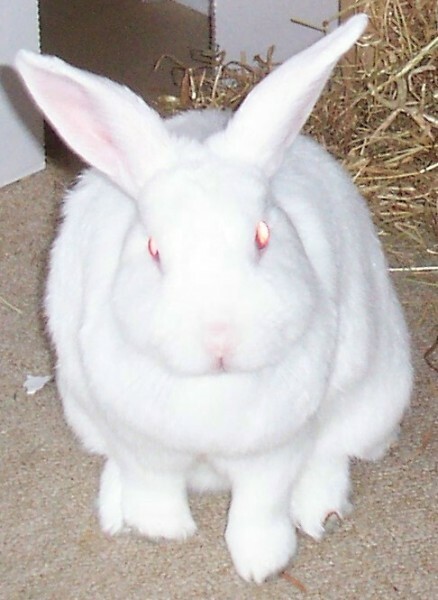 Hello, from what we can see, I think our 2foot has now joined uk-pet-rabbits. We very much look forward in chatting.